Micellar water is notorious for being hard to get a hold of in the U.S. If you've heard of it, you probably know of Bioderma's version used by many makeup artists and YouTube beauty gurus alike. Now, to give you some background, micellar water is used to cleanse and hydrate skin as well as remove makeup. It also claims to be particularly gentle to sensitive skin. I've been an avid user of makeup-removing towelettes, and recently I've noticed more breakouts on my skin than usual. I've also never been a fan of the burning sensation left after using them (I usually cleanse my skin immediately after because of it), or the sticky-feeling residue it leaves behind. I have very sensitive, oily skin, and I've been on the hunt for something a little more gentle, but equally effective. Since I can't get a hold of Bioderma without it costing entirely too much for a college student, I was ecstatic when Simple released their own (affordable) version! I've been using the water for a little over two weeks and I have to say I love it! It wasn't a love-at-first-sight kind of deal though, more of a slow-blossoming one, but love is love. The instructions on the bottle say to saturate a cotton pad with the product and wipe over the whole face, so that's exactly what I did. I use a cream-based waterproof eyeliner, so I'm not too shocked that it took me a bit to remove it. What I found to be most useful is if you hold the saturated pad over the eye for about ten seconds and then slowly wipe down. 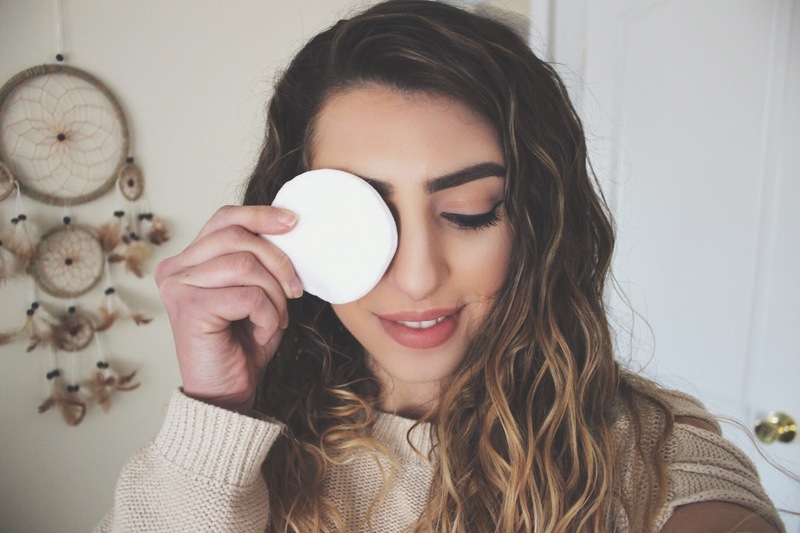 It takes me about two fully-saturated cotton pads to remove a full face of makeup. I follow up the makeup removal process with my normal face routine (i.e. cleanser, serum, and moisturizer). 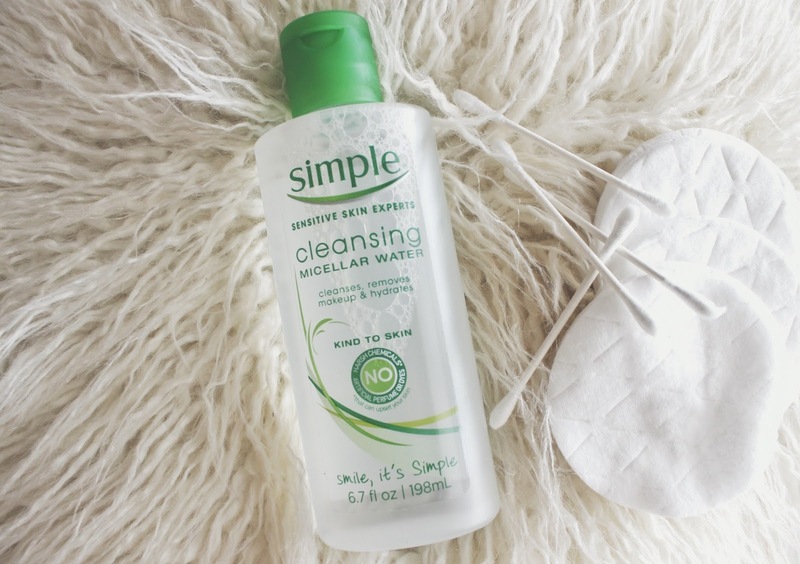 The cleanser easily removes any of the bits that the micellar water couldn't quite reach. I've also begun to use the product as a quick cleanser in the mornings, or on days I go makeup-free. I love the feeling it gives my skin, I honestly feel that it both cleanses and hydrates. My skin feels bouncier, softer, and it leaves no sticky residue! 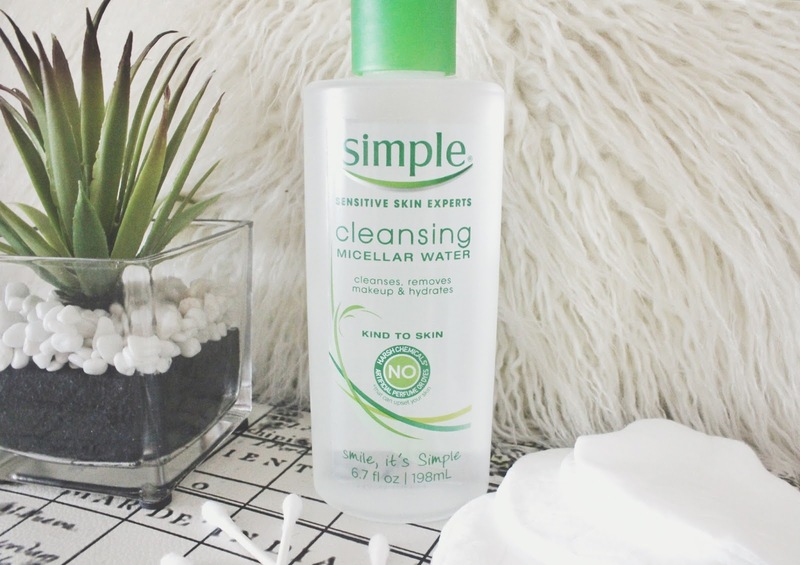 Simple Micellar Water goes for around $5.97 at Walmart, which is the cheapest I could find it! 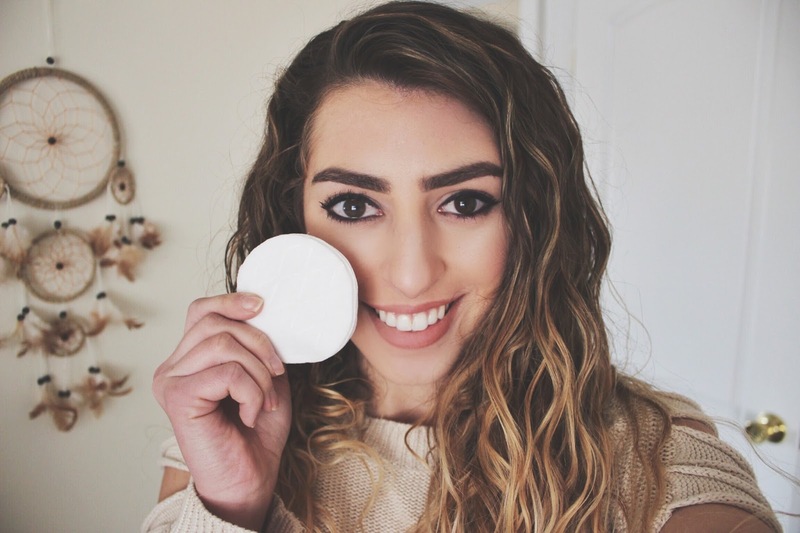 Do you use micellar water? If so, which brand is your favorite?